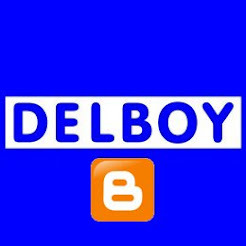 In the early part of 2014 UK CB radio users across the major forums and websites had a vote to establish calling channels for AM and SSB modes which were about to be legalised in the UK. A number of options were put forward and were whittled down to the final choices - Channel 14 or 19 for AM, Channel 12/27/34/38 for SSB. 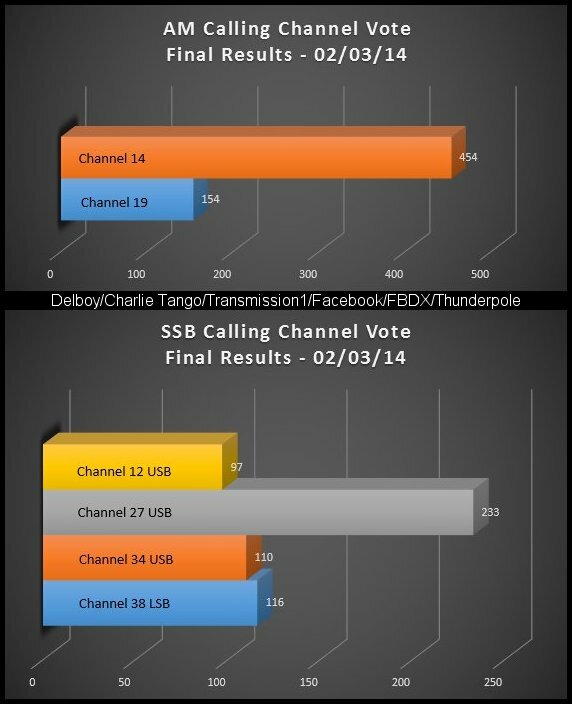 In total there were 608 votes in the AM calling channel vote and 556 votes in the SSB calling channel vote. As you can see a large majority of people voted for channel 14 (27.125) to become the AM calling channel. Similarly channel 27 (27.275 USB) was chosen by a large margin to be the SSB calling channel. Usage since 2014: It is fair to say that the number of stations calling on the new calling channels has been low as many stations chose to stay on the UK40 allocation after the legalisation of AM and SSB here in the UK. Using AM proved to be very problematic for many as the noise levels in our modern society are just too high for this mode, a mode where any type of electrical interference can cause havoc. However SSB is another story entirely, SSB nets have sprung up all across the UK and are now the main activity on the CB bands here in the UK. At the time of writing there is only ONE regular AM net with a second one about to start. It's a shame that the long awaited legalisation of AM and SSB eventually came as the sun-spot cycle was in decline, if the modes had been legalised a few years earlier there would have been much more activity on the bands for people to enjoy. Nevertheless, activity has certainly increased significantly since AM and SSB were legalised and I do hope we can keep people interested until the next solar maximum expected in 2024/25.